Tracey is a contemporary artist based in North Norfolk, where she spends lots of time walking along the coastline with her sketchbook, drawing the seasonal changes. Rapidly drawing her feelings of a place through mark making, is key to her recalling the energy she senses, when sketching the fleeting and ethereal light. Her focus is the horizon as it’s a place where she feels a connection; a sense of presence. 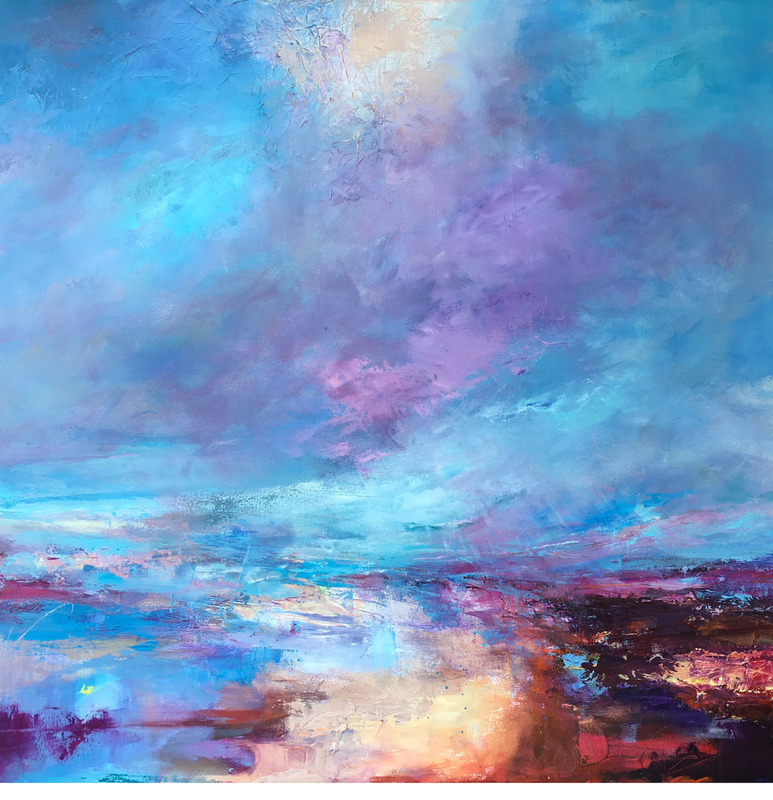 She paints to capture the beauty of Creation along the North Norfolk coast, with its creeks, skies and expansive beaches. She finds that painting in a semi-abstract style, using mixed media, acrylics and oils, enabling her paintings to reveal a deeper mystery. Tracey studied textile design and went on to complete a Visual Studies degree at Norwich University of the Arts. She is a member of the Norwich 20 Group and regularly participates in the annual Norfolk and Norwich Open Studios. She was shortlisted for the National Open Art Competition 2015, was finalist for the Royal Society of Marine Artists (RSMA) 2016 and the Institute of Painters in Water Colours (RI) at the Mall Galleries 2016-2017. Her work is held in private collections both in the UK and abroad.